Beautiful Shower Remodeling Starts Here! 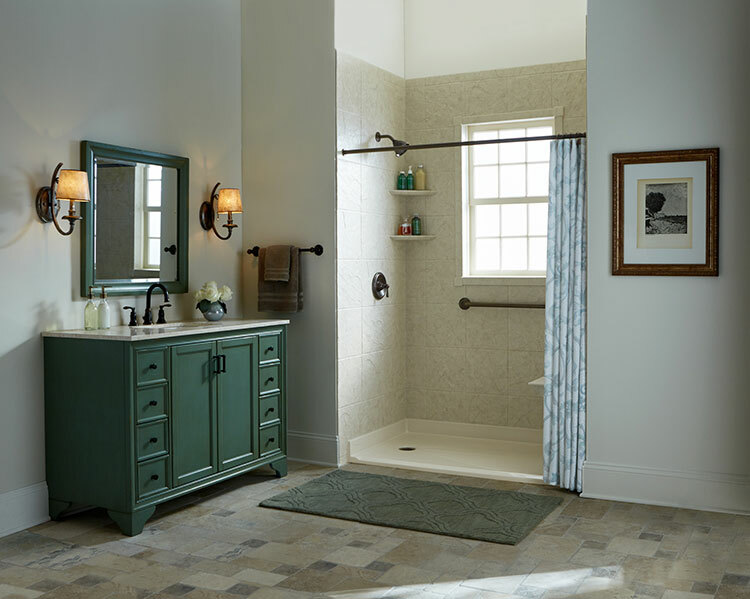 From barrier-free entry to tub-to-shower conversion products, Bathwraps offers comprehensive shower remodeling products and services to ensure your new bathroom is attractive and convenient. If you’re ready to install a brand new shower at a fraction of the cost, time and stress of a brand new shower install, place your trust in our guaranteed products made from 100 percent acrylic with anti-microbial protection. Never worry about mold and mildew again for as long as you own your home! We offer a variety of ways you can transform your bathroom: shower liners, tub to shower conversions, and barrier-free entry. Here at Bathwraps, we are committed to giving our customers a prompt, efficient, trusted and affordable solution to a new shower. That’s why we’re proud of our factory-trained technicians who are continually updated on the latest installation best practices for your peace of mind. Why live with a damaged or dirty tub and shower? It’s time to update the look with a shower remodeling project handled by your local exclusive source for easy home improvement: Bathwraps. Contact Bathwraps for a free estimate and we’ll help you get started with your shower remodeling project.